Yesterday, the Cabinet Office, Home Office and Foreign and Commonwealth Office released a joint-statement to reassure EU nationals working in the UK and UK nationals working in the EU, that there will be no change to their rights or status following the result of the EU referendum. 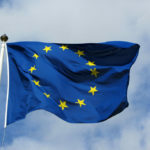 The statement also made assurances to the same group that their rights and status will again be protected once the UK officially terminates its role within the EU. To help clarify timescales, for the UK to leave the EU, ‘Article 50’ must be enacted, which formally starts the process by which the UK negotiates its exit from the EU. This process will take a minimum of two years. 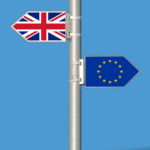 EU nationals who have lived continuously and lawfully in the UK for at least 5 years automatically have a permanent right to reside – there is no requirement to register for documentation to confirm this status. EU nationals continue to have a right to reside in the UK in accordance with EU law until the UK has formally left the EU. EU nationals do not need to register for any documentation in order to enjoy their free movement rights and responsibilities until the UK has formally left the EU. Following the result of the EU referendum, David Cameron said that triggering ‘Article 50’ will be the role of the UK’s next Prime Minister. With yesterday’s news confirming that the incumbent Home Secretary, Theresa May, will be the UK’s next Prime Minister, it is yet to be known when she will trigger ‘Article 50’ but has indicated she will not do this until the UK is in a strong negotiating position. The Government’s full statement can be seen here. EU referendum: how will your vote affect the health and social care markets?